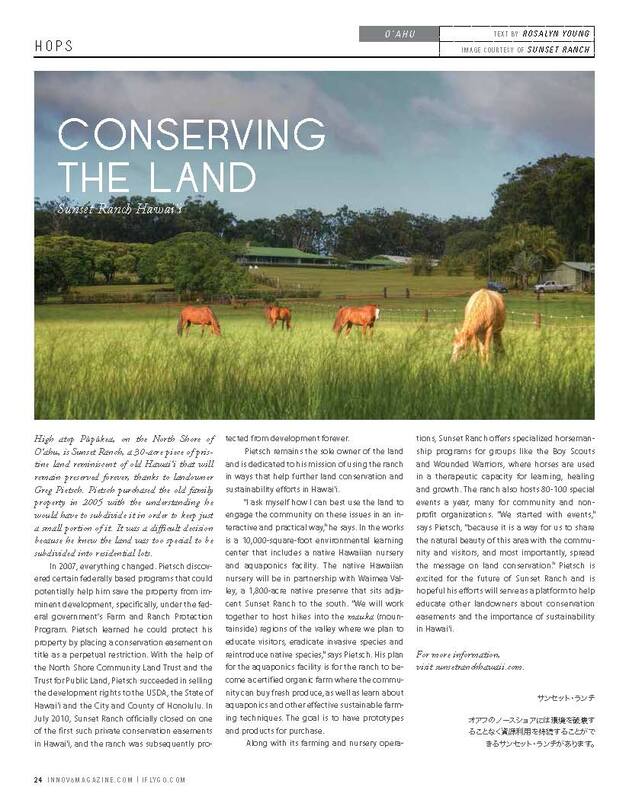 At Sunset Ranch Hawaii, we continue to be focused on our mission of helping advance land conservation and sustainability in Hawaii. Mahalo to INNOV8 Magazine (Go! Airlines) for sharing our story!